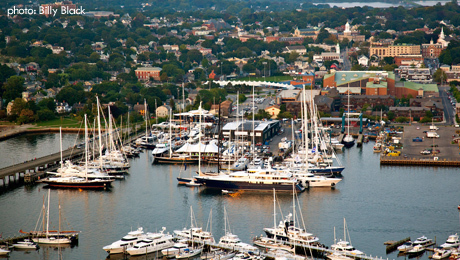 The world renowned Newport Shipyard is one of the most popular marinas in Newport. Newport Shipyard is capable of handling yachts up to 350ft with 22ft draft, equipped with single and 3 phase power up to 400 amps / 480v, with water, Wi-Fi, and phone cables available at the berth. Phuket based Eclipse Marine provides a complete refit & repair solution in Asia through professional & knowledgable project management. Based in Power Boats Yard, this shipwright, carpentry and varnishing company has provided consistent and reliable services for over 27 years. A & G will take on all aspects of interior and exterior carpentry and cabinetry, and specialize in teak decks and cabin soles. 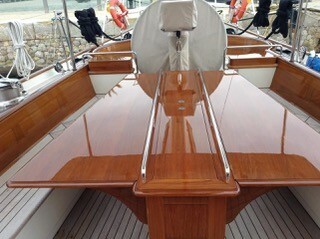 Well recommended from an experienced yacht Captain for their varnishing works. Contact Allan Paul. Absolute Boat Care was established in 2001 and has grown to become one of the leading providers of Paint, Varnish, and Polish & Surface Protection services in the Mediterranean. With a large workshop, complete with paint and varnish spray booths in Binissalem, and an onsite worksop in STP Palma, they come highly recommended year after year. Well known as “Two Guys” he has been day working in the boatyard for ten years. He came very well recommended and specialises in engine room / bilge cleaning and painting. “Two Guys” prides himself in being a very hard worker and has crewed aboard a Superyacht for three and a half years, so fully understands the importance of maintaining high standards whilst working aboard.